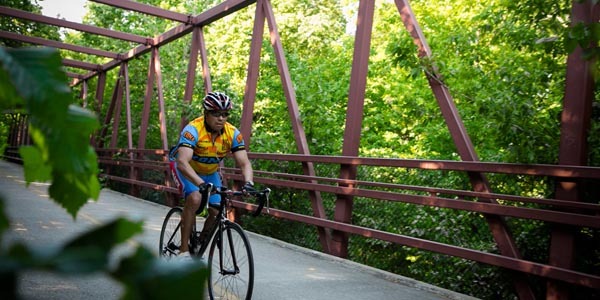 Whether you’re in La Grange, Brookfield, or Hinsdale, you’re near a lot of green-space. Each and every one of these towns offer Metra commuter trains, historic downtowns full of shops and restaurants, and easy access to all that Chicago has to offer. What you so often do not often hear about is the natural preserves – full of trails, bird watching, fishing, and more. If you are a nature lover who needs to still have access to all the conveniences of City Living, you’re closer than you think. Most people hear “Brookfield” and immediately think of Brookfield Zoo. The title of this piece includes nature, so it’s easy to think about the overwhelming collection of animals, reptiles and crawly creatures within its walls. After all, they all are part of nature. That and the water features, plentiful fields of grass, and shade of decades old trees you can wander through between habitats. But it would be a missed opportunity to settle into that dialogue. After all, Brookfield Zoo of Brookfield, IL is nationally and internationally known. It’s surrounded by a wonderful array of homes, residents, and a quaint downtown area. It seems, though, to overshadow the collection of forest preserves and trails just a mile or two away that would satisfy any nature enthusiast’s desire for “green space”. Wolf Road north of 31st Street is home to your standard collection of strip mall necessities in addition to the be Mariano’s Grocery. It even can connect you directly to Chicago’s trifecta of highways (I-290, I-88 and I-294) in just 10 minutes. Wolf Road south of this intersection, however, is flanked by dual forest preserves – Bemis Woods and Salt Creek Woods – both providing a view of nothing but lush green the peace that only nature can bring. This calm oasis of nature is just long enough to forget that you’re approaching Ogden Avenue to the south. For an area with so much City influence, including a Metra commuter train stop in nearby Brookfield, La Grange and Hinsdale, the balance this place offers is undeniable. So, trees and hugs are great, right?! But let’s admit it – often times nature is a place to cut loose and put tires or feet to pavement. Bemis Woods features Go Ape-Live Life Adventurously: “A Go Ape Treetop Adventure is a fully immersive outdoor experience. Guests will traverse five exhilarating sections, leading you higher and higher into the forest canopy. Our course features 39 unique crossings and 5 thrilling zip lines.” Maybe the Salt Creek Trail is more your speed? Trail activities include: Bike, Inline Skating, and Walking. Conversely, Salt Creek Woods Preserve is “designated as one of the highest quality natural areas in the state by the Illinois Nature Preserves Commission.” Considered a hiking and birding hotspot, be sure to visit their website for best parking places and rules and regulations to help maintain this special sanctuary. When new home buyers or transferees work with Nancy Miller of Coldwell Banker in La Grange, IL, Nancy does a good job of pointing out the benefits an area has to offer that someone new to the area might not be aware of. As home buyers and sellers think about Cook County, it’s obvious how strongly associated with the City of Chicago it is, but Cook County goes far beyond the City boundaries.